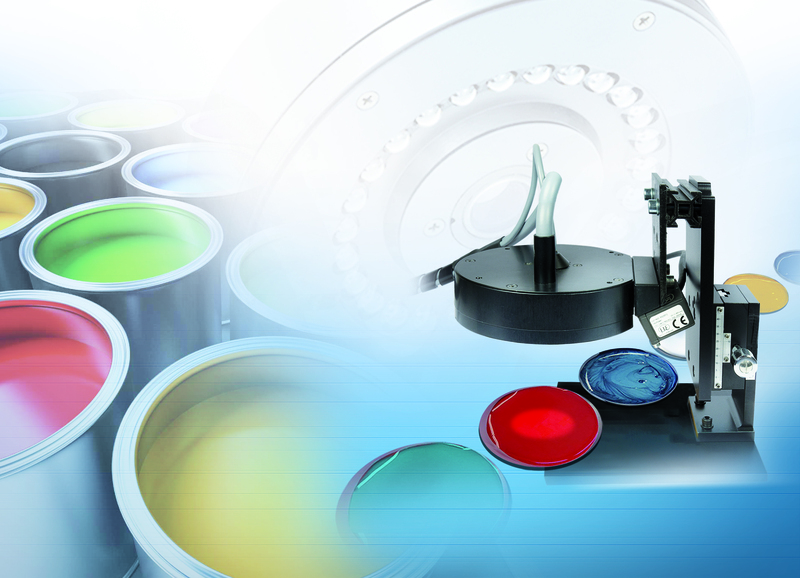 To date, color measurement of liquid paint has been a lengthy, time-consuming process. A new system solution from Micro-Epsilon involving the colorCONTROL ACS7000 inline color measurement system and the optoNCDT 1420-50 laser triangulation sensor enables real-time, high precision color determination directly in the production process at the paint manufacturer. 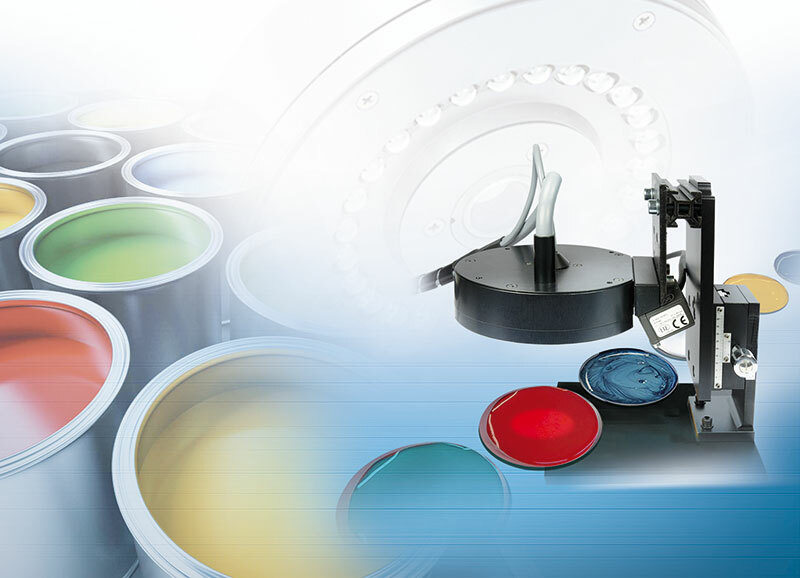 Measuring the color of liquid paint is extremely difficult for paint and color manufacturers. To date, paints have been typically applied on a test area first and then measured only after the drying process in order to achieve reliable measurement results. If the measurement results are outside the tolerances, the paint containers must be mixed again or even disposed of which partly involves long waiting times until a new measurement process can be started. Micro-Epsilon has developed a system that enables the measurement of liquid paint during the production process. This measurement can also be performed directly in the production line. The sensor system from Micro-Epsilon provides time savings as the producers do not have to wait until the samples are painted and dry. Furthermore, costs are reduced as rejects are minimized. In color measurement technology, the spectral distribution of the reflected light depends on the distance between the sensor and the measurement object. Therefore, even changing distances larger than 0.05mm will influence the measurement results. However, the accuracy with which paints can be filled into the sample container is limited to ±2 mm, which means distance measurements and controls are required to achieve high precision and reproducible measurement results. The solution from Micro-Epsilon for color and paint manufacturers therefore includes the colorCONTROL ACS7000 color spectrometer for color measurements and the optoNCDT 1420-50 laser triangulation sensor for distance measurements. The latter is ideally suited to this application due to its compact size and excellent performance. The laser sensor measures the distance from the measurement object. This is how the distance of the color sensor from the object can be readjusted at any time in order to achieve high measurement accuracies. A linear unit offers automatic readjustments. This system structure enables high precision, non-contact inline color measurement of liquid paint during the production process. Due to the ACS circular sensor, the measurement process is independent of the direction of view. Combined with the compact laser sensor, Micro-Epsilon offers an integrated and space-saving solution.